21 lb. HP Universal Bond Paper"(4.2 mil, 80 gsm - 2 inch core) See precise lines with sharp, fine detail. See high-impact graphics with an extended range of colors." 24 lb. Heavyweight CAD Bond RollsThis premium opaque 24 lb. paper features a heavier base and special surface treatment that offer excellent durability and superior imaging for those requiring a higher quality plot. Pricing listed below is per roll. Pricing listed below is per roll. 24 lb. HP Bright White Inkjet PaperOptimize your everyday printing with the reliable, trouble-free performance of cost-effective HP Bright White Inkjet Paper. 24 lb. HP Coated PaperHP Coated Paper is ideal for color-accurate everyday prints, working comps, and design proofs, and offers excellent handle ability enabling technical professionals to roll or stack time-sensitive documents as soon as they come off the printer. 24 lb. HP Universal Coated PaperHandle prints with confidence right off the printer. HP Coated Paper is ideal for color-accurate everyday prints, working comps, and design proofs, and offers excellent handling to roll or stack time-sensitive documents as soon as they come off the printer. 35 lb. HP Heavyweight Coated Paper(Grammage 131 g/sm, Thickness 6.6 mil) Look to this economical, recyclable printing material is ideal for a variety of medium ink-density graphics and technical applications. 42 lb. 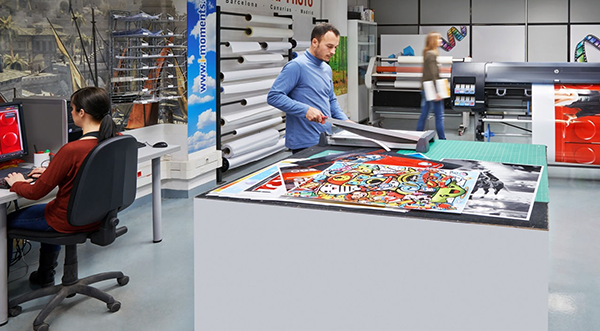 HP Super Heavyweight Plus Matte Paper(210 g/sm, Thickness 10.2 mil) Look to this economical, recyclable printing material is ideal for a variety of medium ink-density graphics and technical applications.